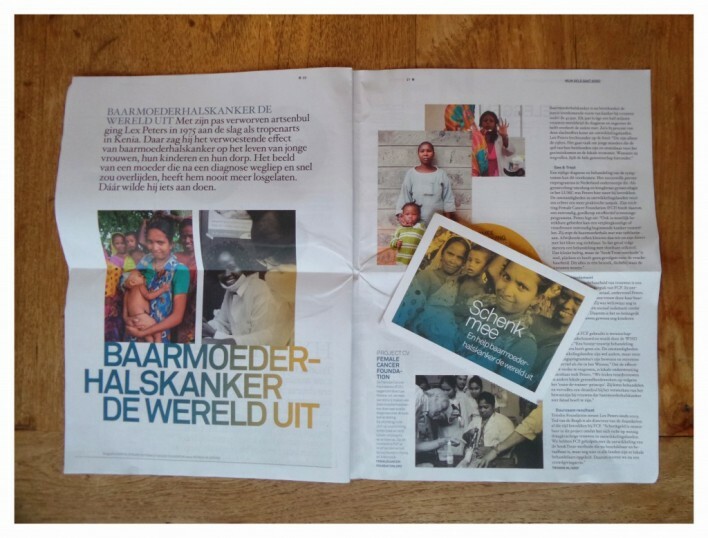 Chantal Spieard's great work for the Female Cancer Foundation has been published in the quarterly newsletter of Triodos Bank. The Female Cancer Foundation strives to create a world free from cervical cancer, which can be achieved by offering care (screening and treatment) on location, offering education and research. While its main focus is cervical cancer, FCF informs women in developing countries about breast cancer and Sexual Reproductive Health and Rights related subjects. A donation is ofcourse much appreciated!